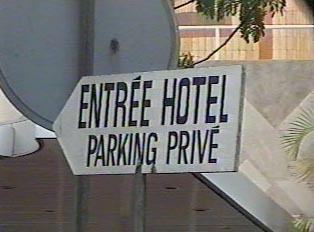 For luxury hotels, one would choose one of the numerous French chain or individually owned French hotels in Dakar. In comparison to European hotels, these hotels are relatively inexpensive for the level of service and amenities that they offer. For those wanting more privacy or an accommodation that is closer to Senegalese daily life, there are either apartments or privately owned outbuildings for rent. These situations are desirable because any guest is likely be invited to participate in meals and social events taking place in the owner’s house. One finds out about such rental opportunities either by word of mouth (often through international word of mouth) or upon arrival in Senegal. Immediately upon deplaning at the airport, one will notice that there are Senegalese willing to help a tourist find sites, information, transportation and accommodations. One can get much information this way.